We're proud of our work. Here's some of it. This competition was held by NASA and its partners to source the most innovative solutions to the application of additive manufacturing on other planets. Specifically, NASA wanted 3D printed habitats that could be efficiently manufactured on desolate planets, aiding in deep space exploration and the agency's journey to Mars. 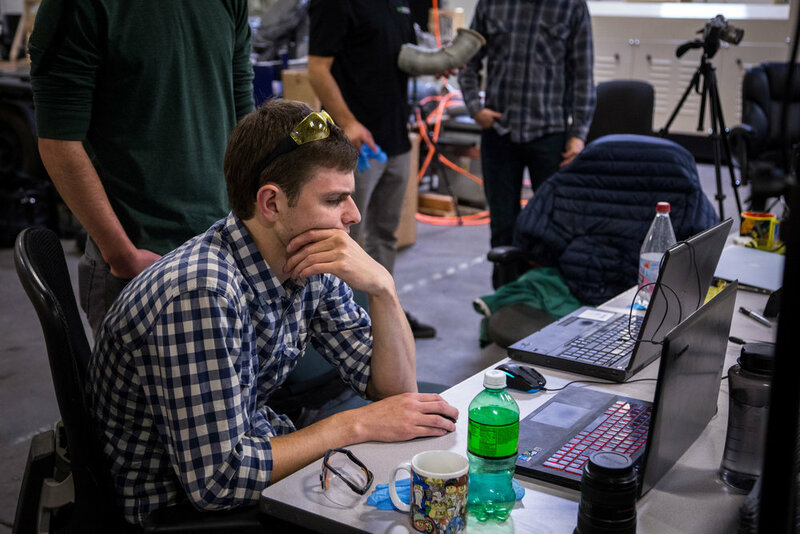 In this stage of the competition the task consisted of autonomously 3D printing a 1/3 scale building foundation on a simulated surface of martian terrain. 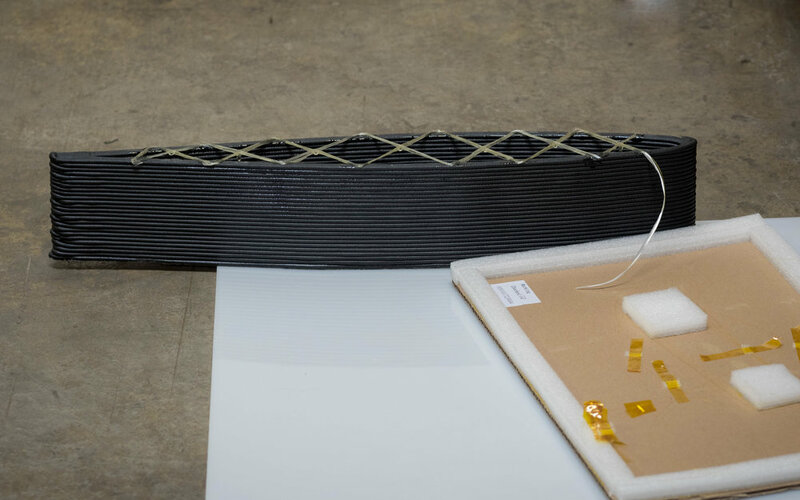 Our team succeeded in creating this foundation over the course of a thirty hour long print, using recycled ABS plastic as the primary material. Our submission earned 3rd place worldwide and proved the viability of large, fully autonomous additive manufacturing systems. An image of the team’s martian habitat design proposal can be seen to the left. This design was created for NASA in conjunction with Walter P. Moore and Austin Commercial. 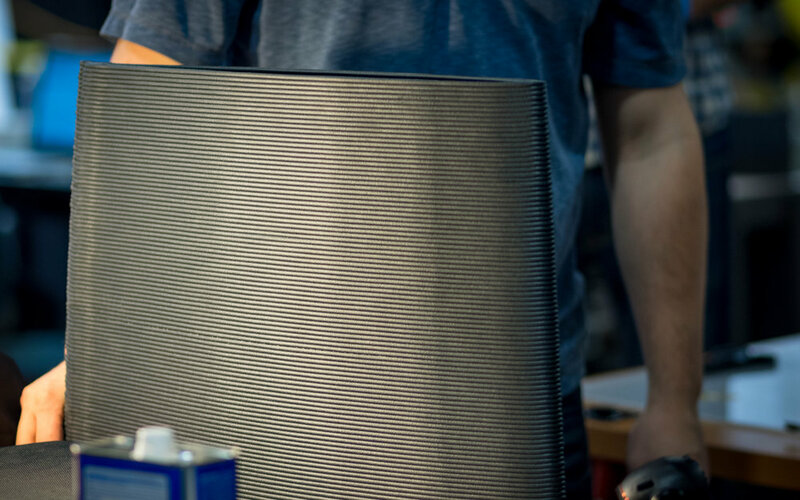 Form Forge has partnered with designer and entrepreneur Grant Holmberg-Baugher to bring the versatility and agility of the Form Forge additive manufacturing platform into the public sector. Using the equipment and process expertise of Form Forge, Holmberg-Baugher LLC is creating a new line of 3D printed furniture and home decor that maximizes geometric complexity and aesthetic individuality while never sacrificing functionality. Some of the work of Holmberg-Baugher can be seen in the gallery, while the full suite of his available work can be found at his website. To create his work, Grant uses the Form Forge Additive Workcell, powered by the Form Forge software suite. Combining these elements allows for the creation of pieces with extreme geometric complexity while also introducing unique features such as embedded patterns; features recreated nowhere else in the world. 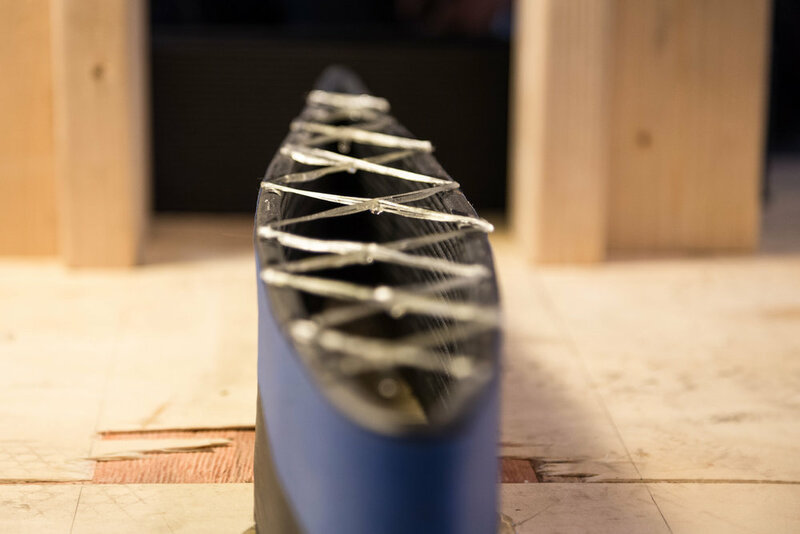 For AU 2017 Form Forge was contracted by Autodesk to assist with the construction of a 3D printed, intelligent rudder to be used on a racing yacht. The goal of this project as a whole was to construct a proof of concept component that could relay real time time data of the rudder's deflection to the crew. 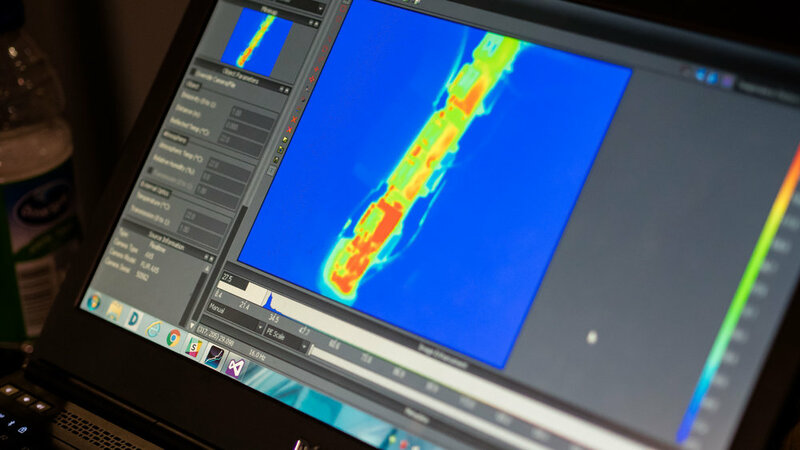 This data would allow the crew to understand and accommodate for the stresses being felt by one of the most critical components of these vessels. 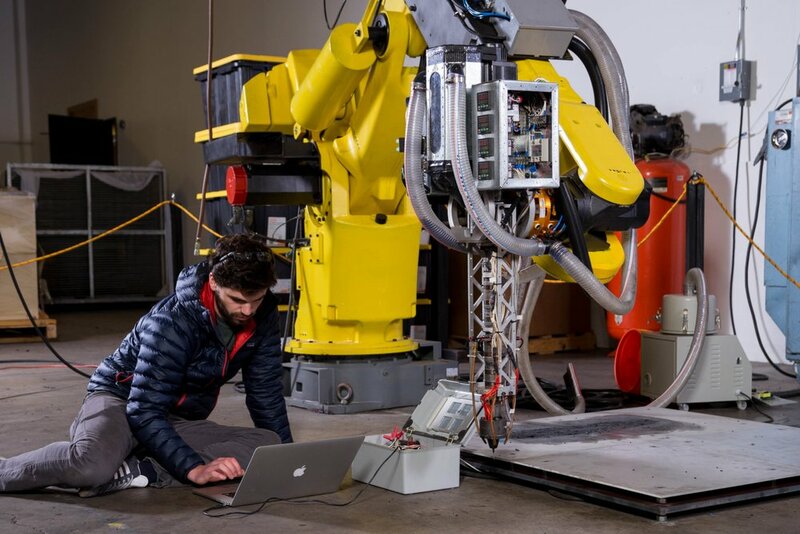 To accomplish these goals Form Forge integrated their robotic motion platform and their thermoplastic additive manufacturing process with a third party fiber deposition tool to 3D print the rudder structure, add fiberglass infill, and embed fiber optic sensors within the print to generate deflection data. We succeeded in this endeavor by creating a waterless concrete analog that uses only the sand found on Mars and the packing material of NASA's equipment. This innovative, 3D printable composite is over 70% sand, making it a desirable building material on most planets targeted for exploration. Additionally, a system that can print a composite made entirely of sand and recycled plastic has immense potential in the production of cheap building materials here on earth, especially in places that are overwhelmed with plastic waste. Watertight roofing panels, tables, chairs,beams, etc. could be made with entirely found materials. The structural beam that we created for NASA earned 2nd place overall in level 2 of the competition can be seen in the image. 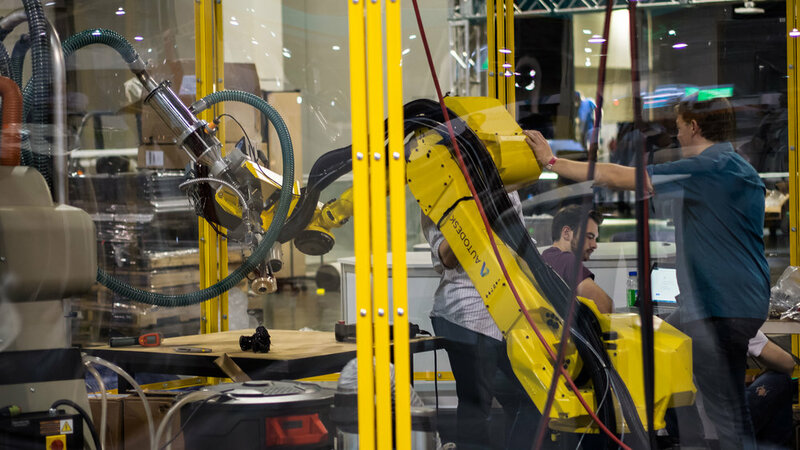 As a contractor for Autodesk, Form Forge was brought in to interface a third party large-format additive tool with a large robotic arm. The project goal was to explore large-format 3D printing outside the current layer-based paradigm. 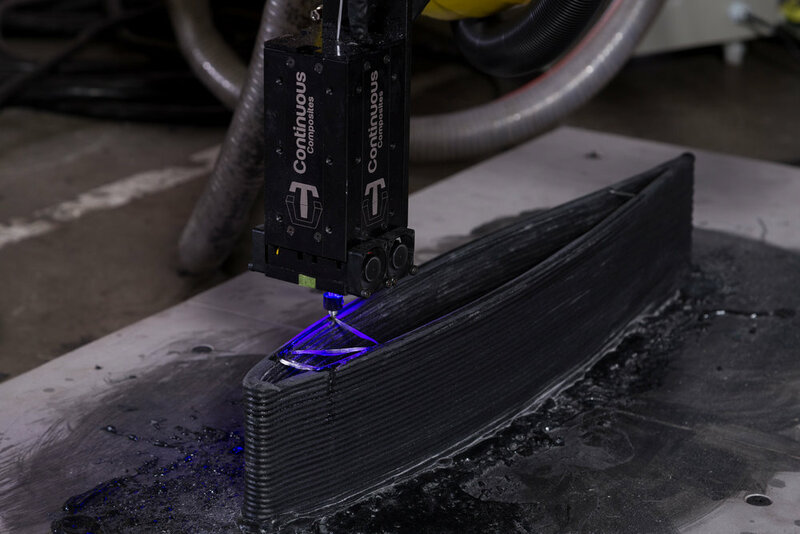 To do this, Form Forge developed necessary software to construct toolpathing instruction files from 3D specifications as well as the hardware to sufficiently control the thermodynamic cycles of the plastic being printed. The results produced faster printing of small objects, more complex geometries and, most importantly, the ability to print at up to ninety degrees off of the vertical axis, a revolutionary advancement in 3D printing (one of these parts can be seen in some of the images to the left). The work done for this project was showcased at Autodesk University 2016, where the entire system was on display as a featured exhibit in the Future of Making Things Pavillion.